Took a break from painting this week, but I will be starting some more this weekend. 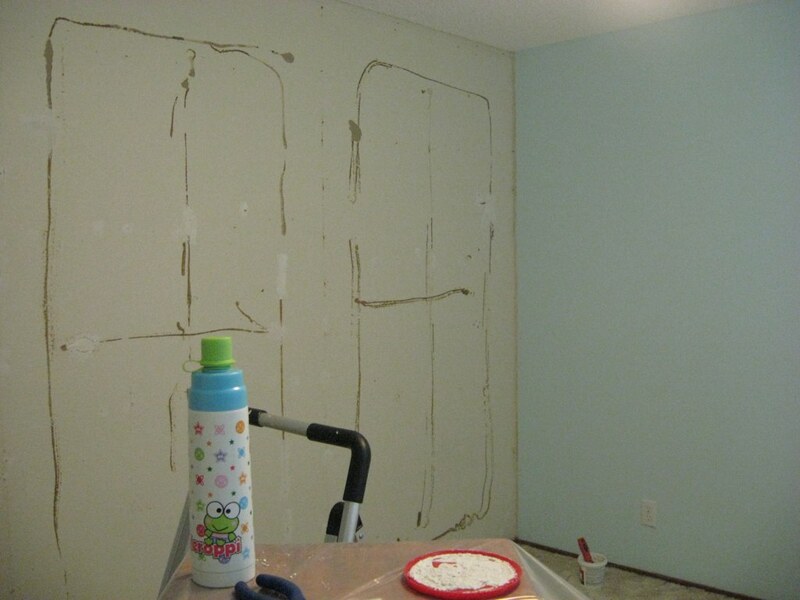 After how successful texturing the kitchen turned out we decided to take the last of the paneling down in the guest room. We originally intended to leave it because whoever put it up glued it to the wall, so taking it off would most likely ruin the wall. 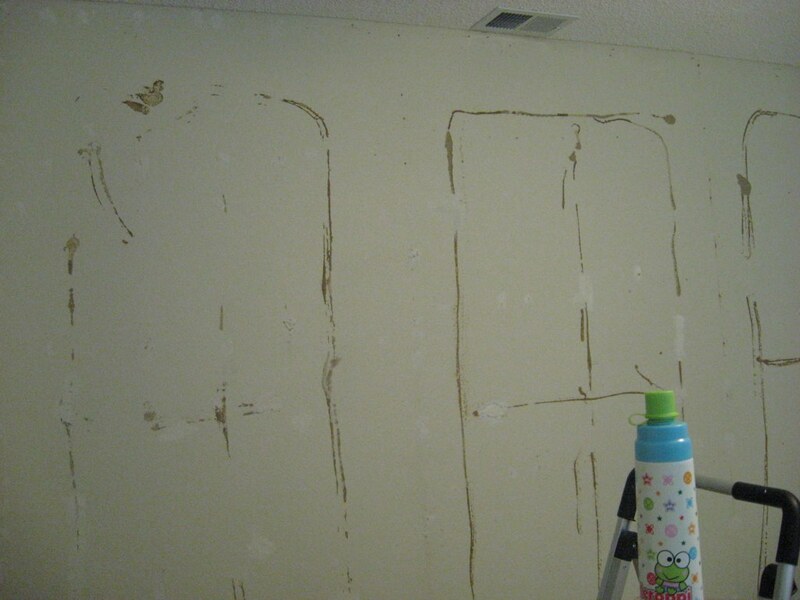 Today I yanked the rest of the nails out of the wall, spackled, and sanded. 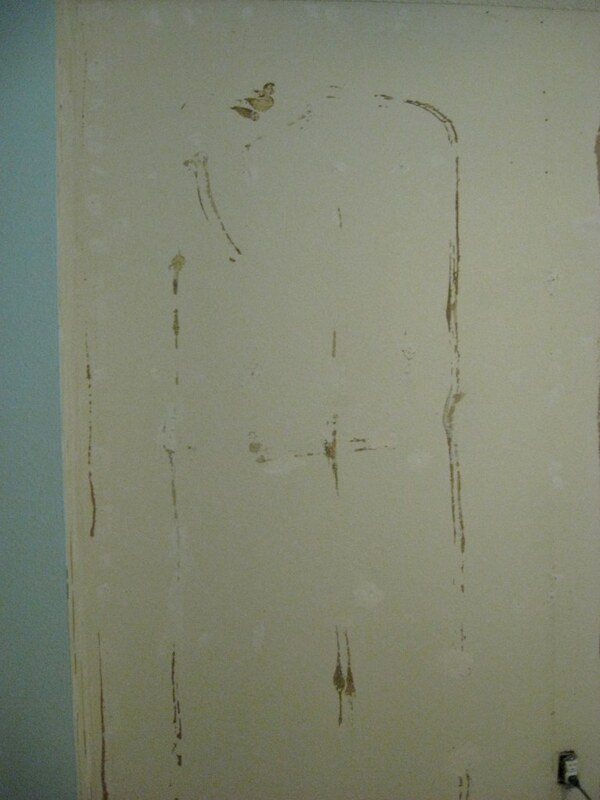 When Joshua got home he sprayed the texture on, so tomorrow I will prime the walls. Hopefully by the end of this weekend the guest room will be done. Just have to touch up on some trim and then yes, my friends the painting will be done!